PHOTO: Broadway Affordable Housing. Kevin Daly. Detail of image by Iwan Baan. The 2019 AIA|LA Residential Architecture Awards Jury is composed of: Tara Barauskas, LEED AP, Margaret Griffin, FAIA, and Mary Ta. An an affordable housing developer & community catalyst, an accomplished and award-winning architect, and a young leader of the modern luxury furniture and interiors industry —these are the individuals who comprise the 2019 AIA|LA Residential Architecture Awards (RAA) Jury. Tara Barauskas has been an affordable housing professional since her career began in 1999. Currently, she is the Executive Director of Community Corporation of Santa Monica, a nonprofit affordable housing owner and development organization based in Santa Monica, California. In this role she oversees the functional areas of the organization, including management of 1,700 units of affordable housing, housing development, resident services, maintenance and administration of 80 staff. Prior to joining Community Corp, Ms. Barauskas was the Director of Housing for A Community of Friends, a nonprofit permanent supportive housing owner and developer in Los Angeles. In that capacity she oversaw the development of numerous affordable housing projects in LA, Orange County and Inland Empire. Prior to this role, she worked for a for-profit affordable housing development company, developing affordable housing projects throughout the state of California. 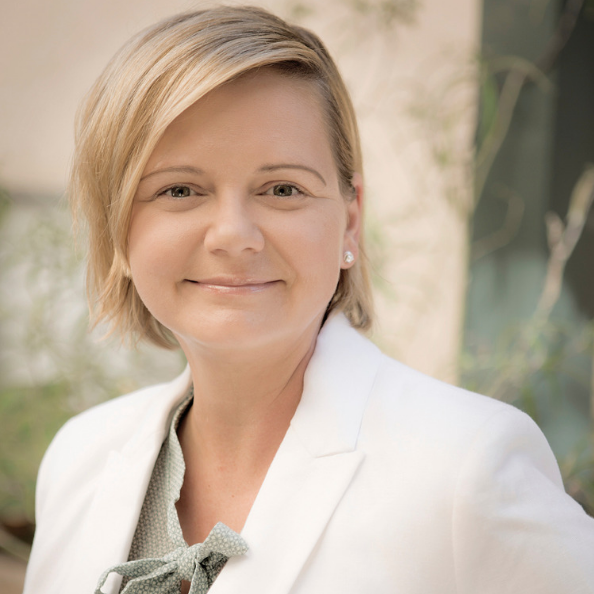 Ms. Barauskas holds a Bachelor’s Degree in English from California State University, Long Beach, LEED AP Accreditation from the US Green Building Council, and LFA Accreditation from the International Living Future Institute. She currently serves on the Board of Directors for the Southern California Association of Non-Profit Housing, Board of Directors for Downtown Santa Monica, Inc., the Advisory Council of the Salvation Army ARC Santa Monica, and the Board of the Santa Monica Bay Area Human Relations Council. 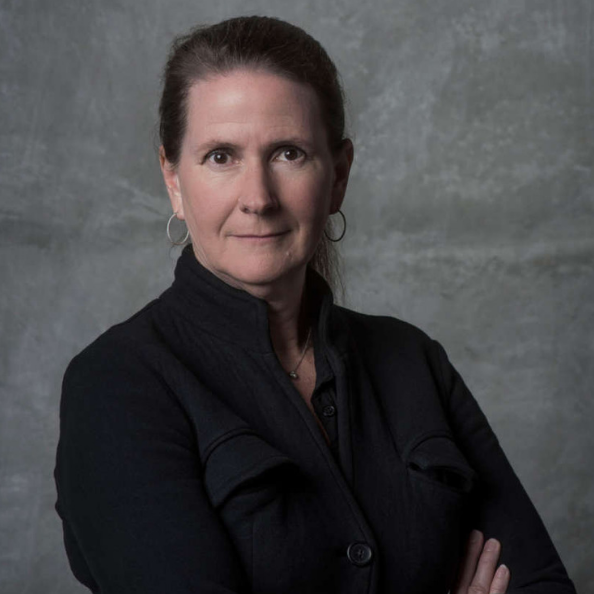 Margaret Griffin, FAIA, is a co-founder and principal of Griffin Enright Architects, where her designs synthesize form, content, and context to reinterpret and transform environments. Margaret holds a Bachelor of Architecture from Syracuse University and a Master of Architecture from the University of Virginia. She investigated the relationship between urban forms and landforms during her fellowship at the American Academy in Rome, a subject she continues to integrate and examine in her architectural practice. Margaret examines the traditionally dichotomous relationships between built form and environment, site and urban context, space and lightness to punctuate her comprehensive approach to design. In addition to guiding an progressive firm, Margaret extends her architectural research on the design faculty at the Southern California Institute of Architecture (SCI-Arc). She also serves as a design leader on the Santa Monica Architectural Review Board, where she lends her architectural, urban, and landscape expertise. 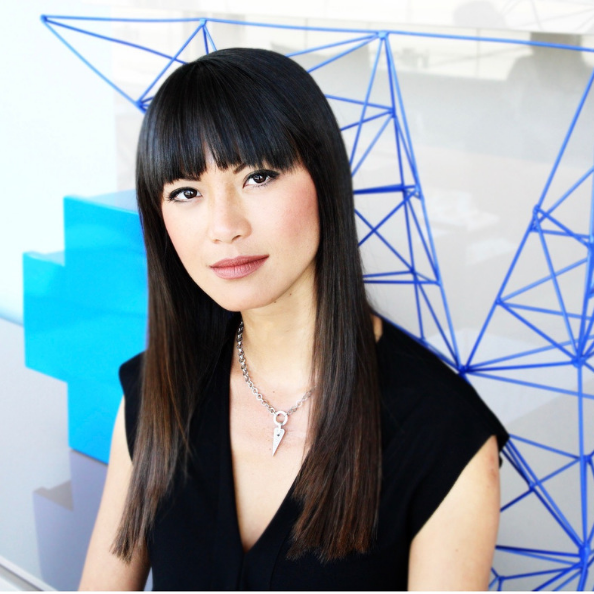 Mary Ta is recognized as an inspiring force in the global design community. As the founder of Italian furniture titan Minotti’s first monobrand showroom and co-founder, with partner Lars Hypko, of MASS Beverly, an innovative design 360 showroom that caters to designers and architects from around the world, Ta has become a young leader of the modern luxury furniture and interiors industry. Her dynamic vision has led to the creation of one-off residences that have captivated a coterie of innovators in the worlds of technology, music, fashion and entertainment, including Beyoncé and Jay Z, Calvin Klein and Elon Musk. The daughter of immigrants from Asia, Ta was a dynamo from a young age, when she professed that she wanted to be a diplomat. Studying political science and poetry as an undergraduate, she went to Loyola School of Law but discovered that her interest in art and design far exceeded that of practicing law. So she left behind her legal career and instead threw herself into launching the Minotti Los Angeles showroom and becoming one of the most compelling curators of European furniture and lighting innovations on the design scene today. Her international projects and world travels are a source of inspiration for Ta’s presentation of contemporary design in a multilayered, sophisticated and original aesthetic. She is an active cultivator of Los Angeles’ evolving design culture and art scene by exposing the city to eclectic and original works. Her involvement in the cultural fabric of the city that has been her home for three decades has led to her evolution as a market connector, bringing together concepts, developers, designers, architects, fashion houses, artists and clients to create projects and applications that have shattered the glass ceiling of the real estate market and the imagination. She is a collaborator with design and fashion brands, such as Bottega Veneta and Moschino. And 2019 will see the realization of “The Brilliance of Design,” an epic project Ta envisioned with Swarovski to create a beautiful showcase of the global crystal company’s lighting, home decor and jewelry collections within MASS Beverly that will be unveiled just before the 91st Academy Awards. Ta is a steadfast supporter of women in business and devotes her spare time to philanthropic activities, including raising funds for the benefit of educating impoverished children in the U.S., Asia and Africa. She also is involved in globally impactful events such as SUMMIT, as part of her personal mission to improve the quality of life in the world. PHOTO: Banner: Broadway Affordable Housing. Kevin Daly Architects. Detail of image by Iwan Baan.